University of Toronto School of Continuing Studies is proud to announce a new addition to their exceptional team. Andrew Maxwell will be the instructor of Foundations of Innovation Management at University of Toronto-Mississauga (UTM), which will begin May 10th. Andrew was the founder of the Exceler@tor at U of T, where he helped to create 30 technology businesses, and an industry advisor for the Dragon’s Den. Moreover, Andrew has been a key consultant for the RIC Centre, and co-taught courses technology entrepreneurship at the Rotman School of Business. He is also a regular blogger in this space. Come and meet Andrew Maxwell at the sneak preview of Foundations of Innovation Management, the first of three courses in the Innovation Management certificate offered by School of Continuing Studies at UTM. This event takes place on April 20th from 6-8 pm and costs $20. For more information on the course or to register contact Brigid Elmy (905-276-2117, brigid.elmy@utoronto.ca). 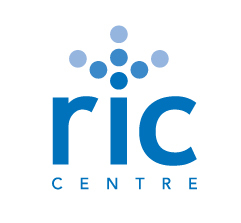 RIC Centre wishes Andrew all the best in his future endeavours!